This year my family and I chose to go to the rehabilitation center “Project Walk “. I wanted to see what they do and how they are helping get people on their feet again. I have been following Project Walk in the news and on facebook for some time. I was always interested in how they do things. Being a paraplegic I’m eager to learn anything that can help you back to your old self again. I found Project Walk very encouraging. I was stunned watching some of their clients do exercises I believed that we would never be able to do again and from someone who talks a lot(understatement my husband would say) I was absolutely gobsmacked at the results they were showing, just fantastic!! Project walk give every SCI person the hope of recover y. Using external stimulation for the nervous system to promote reorganization they are reminding the nerves and muscles how to work again. Muscle spasms are used to build muscle mass and control, using the spasms rather than having to fight against them. They do a lot of weight bearing activities; this in itself promotes healthy bones and fitness. They do not say people will be hopping and skipping out of the door. 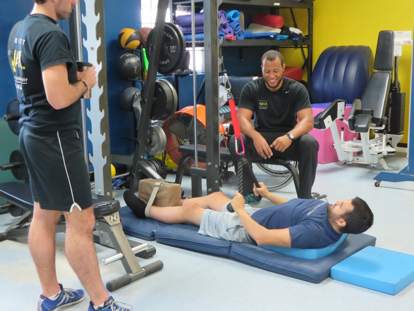 They do say the best case is a client can regain function and continue to improve as the exercises help a client’s body to remember how to move. Worst case is the client will just leave more independent and healthy. The health benefits are great and this is something that is very much needed for a SCI person. Taken from Project walks site the below are results. Therefor e this kind of therapy benefits all of us. 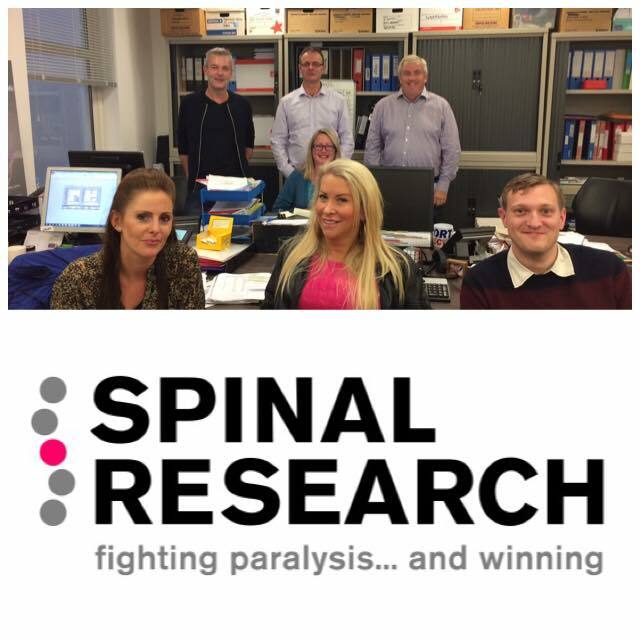 It’s not a cure for paralysis but is a great way to get our bodies fit, possibly improving movement and sensation and all of the above.As a Cure Girl I believe this is something that should be set up around the world, we all could use a Project Walk. I would like to thank Liza, Amanda and Brock for showing my family and I around and I will definitely be back. 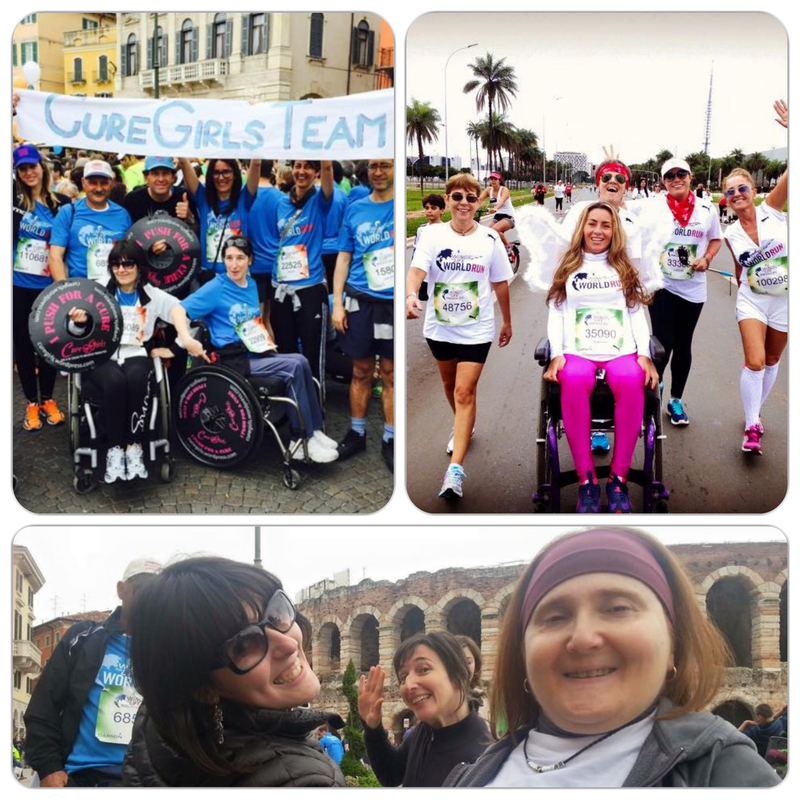 Nelle ultime settimane le Cure Girls hanno partecipato ad alcuni importanti eventi sportivi per poter condividere con un pubblico sempre più ampio il nostro messaggio a supporto della ricerca di una cura per la lesione spinale cronica. Lo scorso 3 maggio abbiamo partecipato alla Wings for Life World Run 2015. Il nostro motto è stato: “Io spingo per la cura – I push for a Cure”. Le Cure Girls Arcangela, Barbara e Loredana hanno spinto per la Cura in Italia, a Verona, mentre Sabrina faceva la stessa cosa, nello stesso momento in Brasile. Al nostro fianco un vero e proprio Cure Girls Team; un nutrito gruppo di amici e sostenitori che hanno corso con noi e ci hanno supportato. Clicca per vedere tutte le Foto e i video: “Perché Valeria ha corso la WFL World Run” e “Sabrina e il cure girls team Brasiliano”. Chi non poteva essere presente a causa delle conseguenze della lesione spinale o perché impegnato in altri eventi di raccolta fondi, come ad esempio la nostra Cure Girl Marina, ha comunque fatto sentire la propria presenza mandandoci un video (Marina con Stefano Pirazzi dalla Granfondofiuggi Valerio Agnoli) o contribuendo a diffondere il messaggio della World Run tramite i social network. Alla World Run hanno partecipato più di 100000 persone e sono stati raccolti circa 4,2 milioni di euro da destinare alla ricerca. 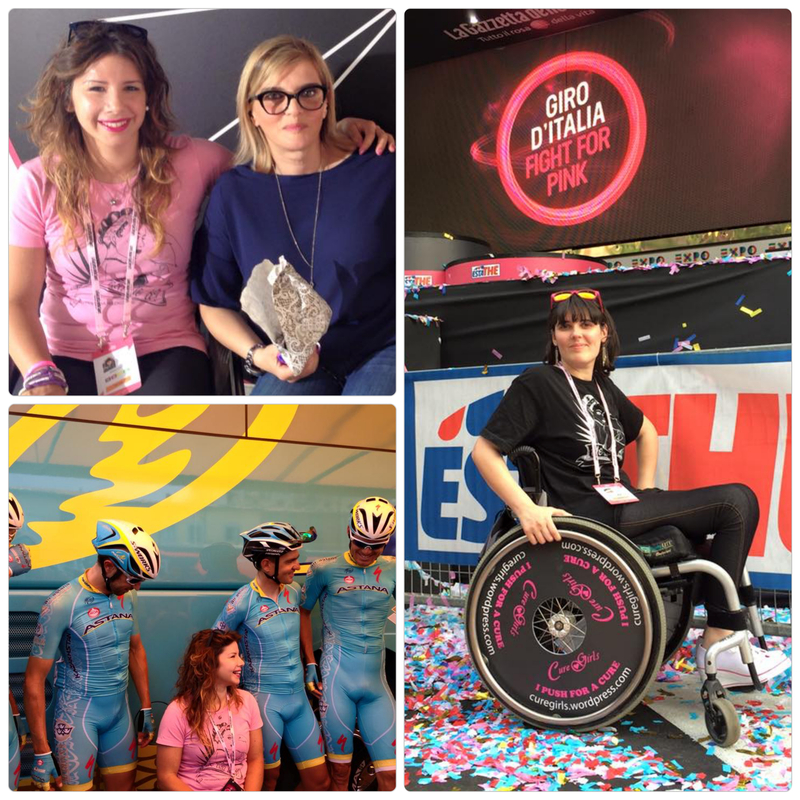 Per continuare la nostra opera di sensibilizzazione e di raccolta fondi per la ricerca di una cura che possa finalmente rendere la paralisi reversibile, le Cure Girls Marina e Loredana sono state inoltre al Giro d’Italia (clicca per vedere tutte le foto) e prossimamente saranno presenti ad altri importanti eventi sportivi come ad esempio la Cycling Marathon che si terrà a Monza il prossimo 27 giugno. Per supportarci ed essere informati sulle nostre attività, rimanete in contatto con noi tramite il nostro blog e le nostre pagine Facebook, Twitter e Instagram.